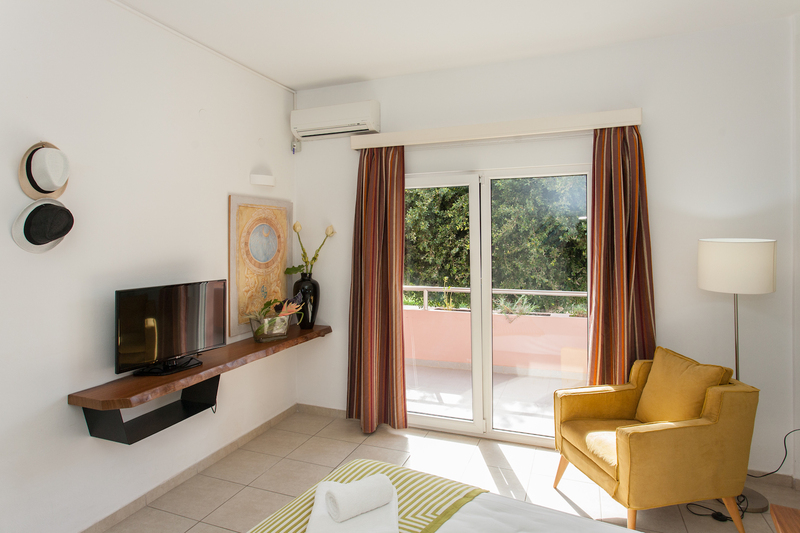 Located on the 1st floor or top floor, this apartment consists of a separate bedroom with anatomic mattresses and 2 balconies, one with mountain and another with sea view. Offers a fully equipped kitchenette and a renovated bathroom with shower. Includes air conditioning, safe, flat-screen, satellite TV and free Wi-Fi. Our reception is open 8 hours a day and we are 24 hours reachable over the phone. Breakfast packages to take away are available upon request.